Adrian Vermeule is the Ralph S. Tyler, Jr. Professor of Constitutional Law at Harvard Law School. Before going to Harvard, he was the Bernard D. Meltzer Professor of Law at the University of Chicago. 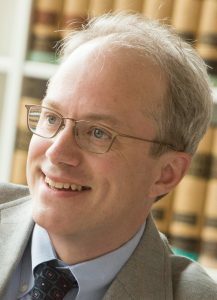 He is the author or co-author of nine books, most recently Law’s Abnegation: From Law’s Empire to the Administrative State (2016), The Constitution of Risk (2014) and The System of the Constitution (2012). He was elected to the American Academy of Arts and Sciences in 2012. His research focuses on administrative law, the administrative state, the design of institutions, and constitutional theory. Having grown up in Cambridge and attended Harvard College ’90 and Harvard Law School ’93, Vermeule lives in Cambridge still. Copyright © 2019 Adrian Vermeule. Powered by WordPress. Theme: Spacious by ThemeGrill.